This is the first of a short series of organs featured here as a result of the IAO's 2017 Music Festival, which was based in Oxford. One of the days involved a coach trip to Eton College, and this is its famous Dutch organ in School Hall. Upon entering the hall, one is immediately struck by the elegance of the organ case by Abraham Harthals of Rotterdam dating from 1773, which dominates the stage. The organ was built in that year for the English Church (St Mary) in Rotterdam, after which it has a more than usually checkered history. During the French occupation of Holland from 1795, the building became successively a POW barracks and a store. It was not until 1817 that the organ was restored and reinstated. 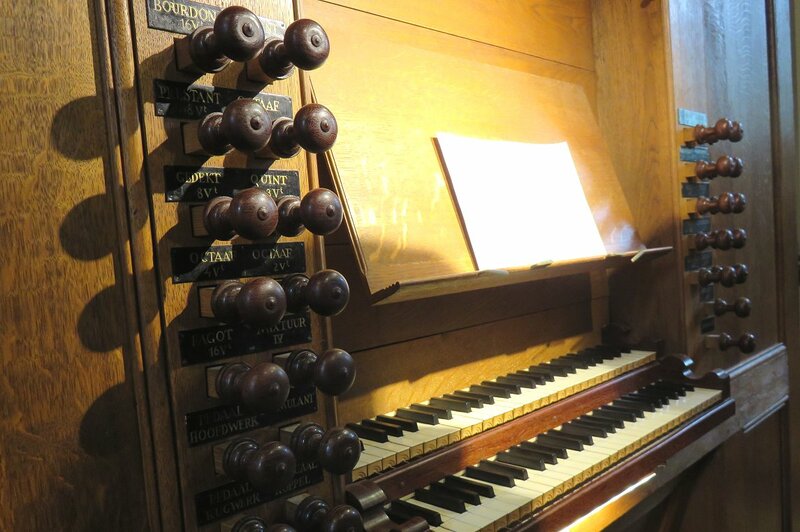 In 1914, the church closed and was demolished, but the organ was rescued by H E Luxmore and given to Eton College. Its pipework was incoporated into a large 4-manual instrument by Willis, completed in 1924. 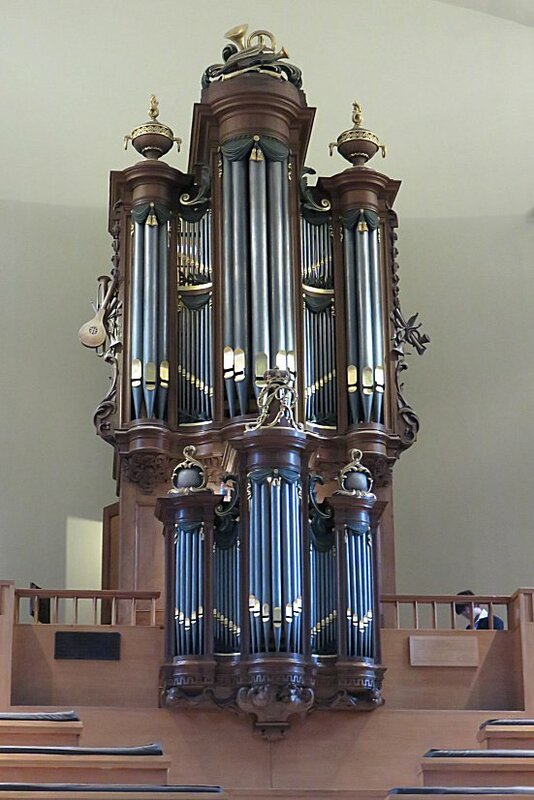 With the renewed interest in neo-classical organ design that occurred here in the 1970s following the pioneering work of firms such as Grant, Degens & Bradbeer, the college decided to engage the Dutch firm of Flentrop to remove all the Willis additions and restore the instrument in the style of the original. Both Hoofdwerk and Pedal divisions occupy the same chest and share a couple of stops. The consultant was Peter Hurford and the organ featured on his landmark Bach recordings for Argo. 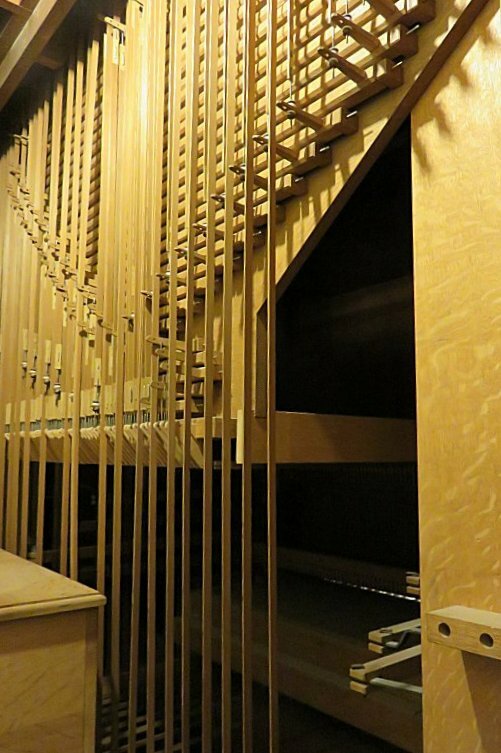 You can listen to this organ as November 17's Music of the Month.